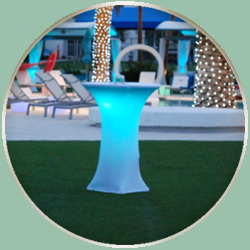 Enhance the mood with these LED Cocktail Tables. Change colors easily by remote control. These tables are the perfect nighttime rental.